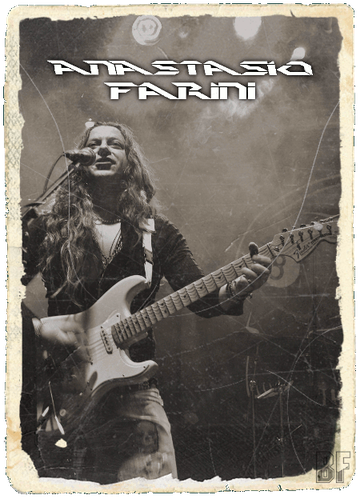 Greek guitarist Anastasio Farini was born in Thessaloniki, and when he was 16 years old, he had gigs at several venues, gained airplays on radio stations and was recognized as an upcoming guitar talent through Greek Metal Hammer Magazine. His love towards rock'n'roll led him to start playing electric guitar and form his first band called White Rose. He has influences from guitar virtuosi such as Yngwie Malmsteen, John Norum, Chris Impellitteri, Steve Vai and many more, led him to create a more melodic personal playing and sound. Since then he has collaborated with many singers and bands as a member or as a session musician. 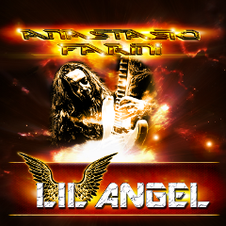 He released his debut album "Lil' Angel" in digital worldwide through Defox Records/Heart Of Steel Records in May 2013 and it is now available on every online stores, amazon, iTunes, Emusic, Spotify, Nokia. The album contains 9 melodic Hard Rock songs with elements from classic Hard Rock to Glam and Hair Metal sounds with neoclassical solos. It features the Greek singer Dean Mess (W.A.N.T.E.D) on a track for "Sweet Lovin' Girl", the great melodic rock singer Rob Mancini on "Anytime All The Time", the amazing Swedish singer Pelle Saether (Grand Design) on "Brother To Brother", the idol legendary from England Reuben Archer (Stampede: cult band of the NWOBHM) on "I Will Be Loving You Forever" and "Like My Way Of Love", and the fantastic performer from Australia Darren Grant (Eruption, Daz Of Oz) on "Wild Boyz" (cover song from Duran Duran).